An orange banana smoothie is a great way to start the day or give a quick energy boost when you need it in the afternoon. 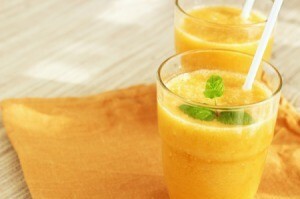 This page contains orange banana smoothie recipe. Process in a blender and it's ready to drink. Combine in blender and process until smooth. Simple to make, a pleasure to enjoy. Combine first 4 ingredients in container of an electric blender. Add enough ice cubes to bring mixture to 4 cup level. Blend until mixture is smooth, and serve immediately. Make a refreshing multi fruit flavored smoothie for breakfast or any time. 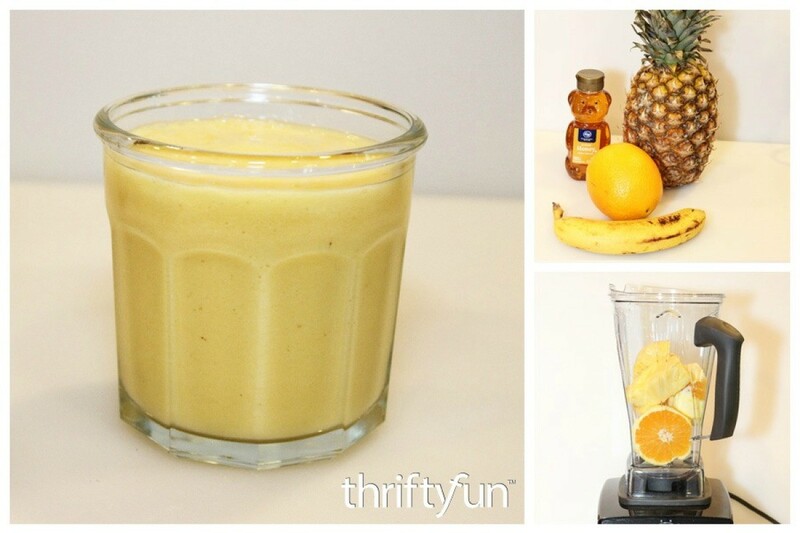 This page has a refreshing Pineapple Orange Banana Smoothie Recipe.